Amie McLain co-anchors Good Morning Richmond and 8News at 9. She joined 8News in January 2009. Amie brings some southern hospitality to our news team. She was born and raised in New Orleans, LA, but she left her southern roots to attend Howard University in Washington, DC. 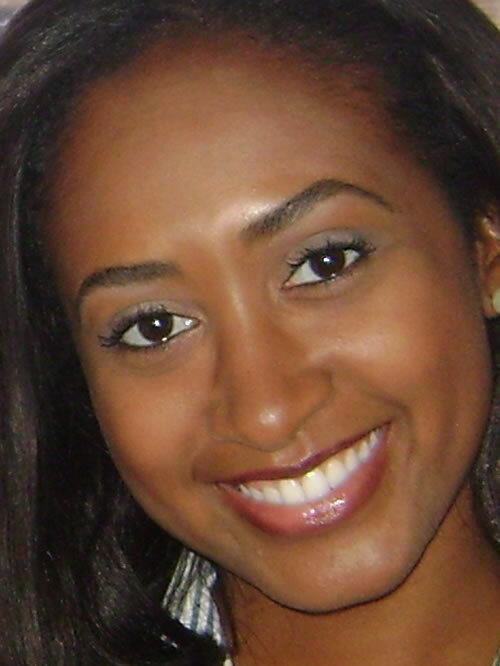 While in college, Amie interned at several networks including CNN, NPR, and BET. She graduated from the Johnson H. Johnson School of Communications with a B. A. in Broadcast Journalism. Before coming to Richmond, Amie worked in Fort Myers, FL at WBBH-TV as a reporter and fill-in anchor. She also spent 2 years in Hagerstown, MD at WHAG-TV as the weekend anchor. During her time there, Amie covered her most personal story: She traveled to her hometown for the one-year anniversary of Hurricane Katrina and took viewers inside her home to spotlight her family and several others who survived the storm. Amie is an award-winning journalist. She received the Virginia Associated Press award for “Best News Anchor” in the Commonwealth as well as the Best Travel Reporting Award from the National Association of Black Journalists (NABJ) in 2011 for documenting her first mission trip to Kenya. She was also one of 3 journalists awarded an NABJ International Fellowship to cover the first Pan-African Youth Conference in Senegal. Amie loves to travel. She’s spent time in 13 countries and doesn’t plan to stop anytime soon. You may notice Amie’s bright smile as she anchors the morning news. She says that’s because she’s blessed to be here. Amie serves on the Board of Directors for First Things First of Greater Richmond, a non-profit group dedicated to strengthening families. She’s also an active member of the National Association of Black Journalists and a proud member of Alpha Kappa Alpha Sorority, Inc.